Playing around with my Fountain pens and Whitelines Journal. Discovered that Noodler’s Black Swan in Australian Roses ink goes very well with Diamine Chocolate Ink. This is gorgeous! I love Noodler's ink. 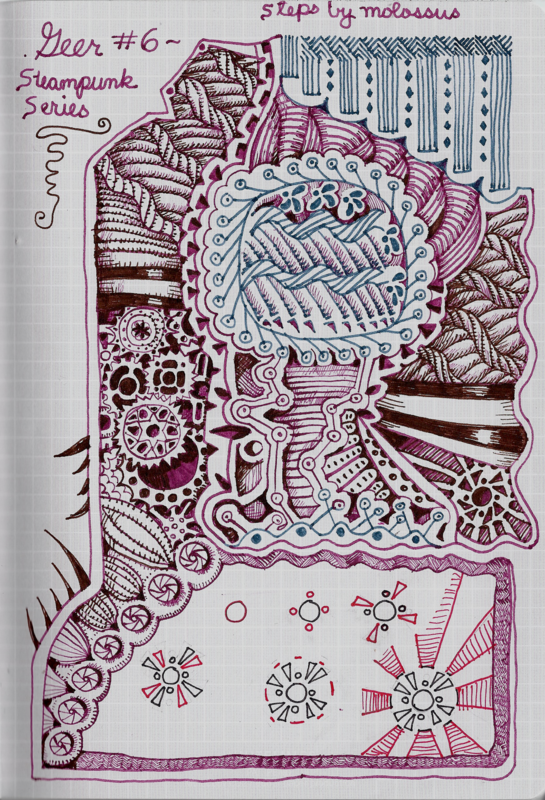 I got a couple of Zentangle books a year ago, hated my first two tries, and put them away. I just recently got them out again and find that I love it now, though I still end up making them directional. I LOVE the steampunk tangles! I want to do a name in letter tiles that will have a steampunk look, so thank you for coming up with these!